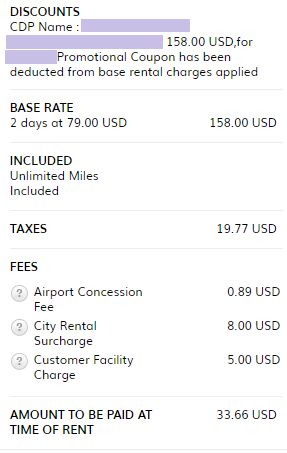 I just booked one way to Mudland (SAN-DFW-MUD) on 12/27 for 20,000 miles + $5.60. I am scheduled to arrive 10 minutes before TAD's return from Turkey (ESB-VIE-ORD-MUD). If I had paid in cash, my flight would have been as low as $335, but the specific schedule I chose would have been $445. That is fantastic for a Mudland redemption. I just decided that I am not driving up to Orange County on Tuesday morning to arrive in time for a 9:30 meeting. So I just redeemed 17,500 Marriott points for one night at the Courtyard Irvine John Wayne Airport, in lieu of $268.40. There was another Courtyard that was almost as convenient with a cash rate of $156 + taxes (about $172), or the same 17,500 points. $0.01/point is still pretty good for a Marriott redemption. I didn't choose the property based on the redemption value of the points; the one I chose was slightly more convenient. With that said, if this stay was being paid with real money (mine or my employer's) I would have selected the other Courtyard and driven the extra 1.x miles to my meeting. I just did my first rental car loyalty program redemption in modern history. I redeemed 2,200 Hertz points to waive the base rate on a one-way rental from OMA-FSD later this month. The rental is two weekend days in a Full Size (Chevrolet Maliboo or similar) car. This redemption amount was applicable to all car classes up to Full (that is, smaller cars didn't require fewer points; further, I didn't have enough points to get a luxury/SUV/higher car class). I have no idea if this is a good redemption value for Hertz points, but I don't do many personal rentals so I was happy to save $158. The $79/day rate is competitive with the options I was able to find on Costco Travel, Hotwire and Autoslash for the city pairs and travel dates I needed. Thanks to CB, I've now had 'free' trips to Germany, England, Hawaii and an upcoming trip to France. Germany - flights were paid for with UR (main economy bumped to Comfort+ with Delta Platinum). Stayed in three main cities...two were paid for with Hilton points and IHG points, so we stayed in a 1300s castle for my wife's birthday (best. experience. ever.). Used the DB app with the C$R whenever possible. England was a Delta flash sale (again main economy bumped to C+ with Delta status), which got us there with miles. I then used IHG points for a couple free nights at the Intercontinental (just before IHG jacked the rate from 60k to 70k points/per night). The rest of the trip was at the Hotel Indigo, which nourished any need for feeling like a hipster (that and the awesome avocado toast found just around the corner at a quaint cafe). Hawaii was a fantastic rate found via Google Flights, paid for with UR through the C$R portal. We then stayed at an AirBnB which was much, much cheaper than a resort. France is still a work in progress, but I pushed some MR over to Delta and will be having my first Delta One experience that I'm sure will ruin economy travel for the rest of my like (not that it needed help). Taxes and fees for the flights was much cheaper than the 5-figure airfare for the same flights. I was able to fill the last hotel reservations for this trip. No award bookings were either available or preferred. Next up, looking into tickets for events and car rental. Not the greatest, but pretty solid, one ways on weekends are usually the best value. PS. Up to a premium is the same rate. Thanks for the feedback on the Hertz redemption value, I appreciate it! I thought I had priced all of the options that were presented to me, so two possibilities: the Premium class wasn't available at the time I made the reservation OR I made a mistake. I'm 100% okay assuming the latter. I'll make a note to ask about going up a class when I pick up the Oldsmobuick I reserved. I received a response this morning to my email, to the Saint Regis, of last night. It appears that this hurdle will be successfully cleared. I just canceled this reservation. Weather forecast is for freezing rain when I land, and AutoSlash found me a one-way/two-day rental in a Premium SUV for $174, all-in.